Looking very good from the limited tests so far. I would like to see some raw samples made available for testing. Yeah, that's looking really impressive for a $1300 camera. The make up on the blond was not good, the highlights due to shine were a little meh. You can always soften the details with filters, lenses and post. You can (pretty much) never make a mushy low detail image more detailed later. Punchy looking little guy, this is a great low cost camera. We are spoiled for choices these days. @jleo I am really impressed with Brawley's footage. And, I believe there's probably more where that come from. A GH5er or not, it looks good for a $1300 cine camera. Colors and image are organic without the jewel tones of some of the Sony sensors. Nice footage. “The Bachelor” season 75 looks dope! That's a pretty good ad for the Olympus 12-100 f4!
" the Universal Cat video..."
all jokes aside, helluva launch, give them credit for knowing and focusing on making pro tools affordable for today's kids who might learn with them to love traditional filmmaking, you can tell they are very proud of this baby cinema cam... kudos again! The ballooning video looks really nice. I think there will be some great footage shot with this camera. You know what, let's cut this hype with artistic videos: just make one original ooc ProRes 422 HQ clip available for download and let's see what one can do with it. I thought the balloon video was graded with a brownish, muddy look (skin tones too). Fine, it will appeal to those pretentious EOSHD folks who like "cinematic" off-colors (otherwise it was a nice video). But we are not going to learn about the alleged great "color science" of this camera from these grades. Yet more sample footage. It looks pretty dang noisy around 0:42. The claim is this was only shot at ISO 3200 so it may just be a testament to how good Panasonic's noise reduction is? The noise doesn't seem too offensive to me at 0:42 (just looks a little bit underexposed to me), but the blue... reflection? in the lips at 0:45 or so is pretty bizarre. The claim is this was only shot at ISO 3200 so it may just be a testament to how good Panasonic's noise reduction is? I wouldn't say it's "good"... Panasonic's noise reduction is the reason why the GH5/s has that "plastic-crunch" to it that renders the image unusable. Even with everything at -5... the image looks like blown-up 1080p footage. Really, really, bad looking image in terms of detail and motion. I'd rather have the slightly higher noise on the Blackmagic... especially since allot of it looks almost "too clean". @bwhitz, which resolution you record ? UHD or C4K on GH5s ? On the GH5s, C4K is a LOT sharper than UHD. I never use UHD with GH5s. Blue light is the ambient dusk sky “filling” into the model. ISO3200 but no In-camera processing or NR. I was impressed with 3200 personally. I expected a bigger hit to DR.
Actually yes the blue light. That looks like something else. Maybe a status light / LED from somewhere off set. The more I looked for the blue light, the more I saw it in different places. I'd totally believe that it's a status light from something nearby. That's one of the dangers of shooting in low light - even the status lights on things can pollute the scene. which resolution you record ? UHD or C4K on GH5s ? On the GH5s, C4K is a LOT sharper than UHD. I never use UHD with GH5s. Unfortunately, it's all of them. Except, oddly... the anamorphic mode. It seems to turn off most/all of the in-camera processing when shooting in this mode. But, yea, other than that... I've yet to see, or shoot, a GH5 video that doesn't exhibit, what I consider to be, an image-ruining processed look to it. Look at the GH5 "4K" next to a EVA1, C200, Red, ect... and it looks like blown-up 1080p in comparison... YET, even the old Black Magic 4k looks like a high-end professional image... so it's not about "price"... it's about horrible, horrible, in-camera processing and NR that you can't turn off. There was a whole big discussion about this back when I was posting more, lol. Got pretty crazy. 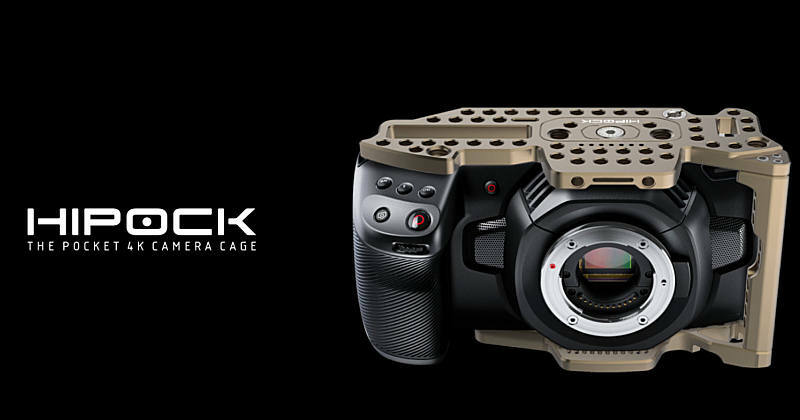 The Blackmagic Pocket 4k is looking great though! No "processed-crunch-look" to be seen yet! Looking forward to more footage and the actual launch of the camera!